Peaks & Leaves — AW. This was a unique weekend, a chance to retreat from the everyday and find a nook to stow myself in the Peak District. My diary did, however, converge against me and I ended up not just staying somewhere particularly wholesome, but with a schedule full of shoots. One such shoot was with a model I’d been planning a shoot with for a few months - Karolina, a French creative who got in touch to update her portfolio. After some convincing that the cold, wet and windy Peak District would be a great location, we set off on a cloudy Saturday to shoot a few different looks. 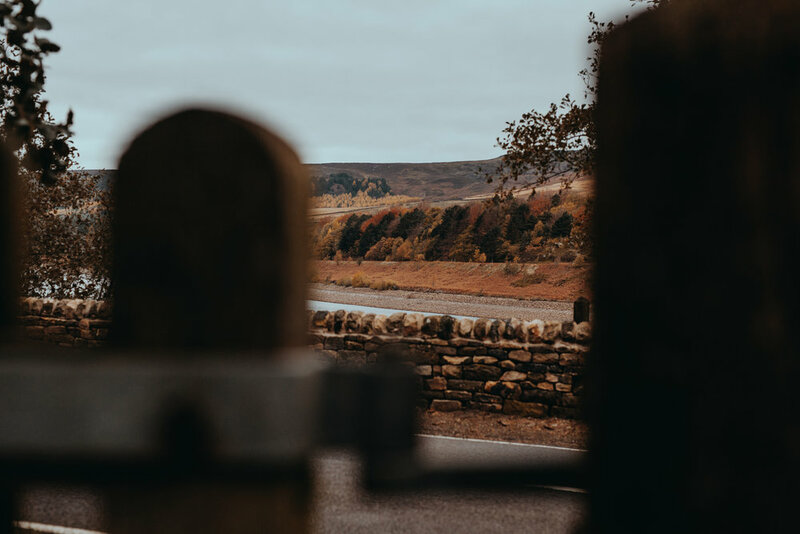 Our adventure took us first to Torside Reservoir, a place full of autumnal Northern charm, covered in fallen leaves and trees shedding their coats. I wanted that raw French fashion vibe, something reminiscent of a stripped-back Elle feature, so after agreeing on winter-chic outfit we shot against the water, the trees and the bare landscape - ultimately choosing a shot on an expanse of the reservoir where the water had retreated to small streams that cut through the ground. Finishing this set, we moved onto my bolthole and shot an indoor one, using a new gel filter I’d acquired that week to add a new shade onto the scene. The environment trod along a thin line of being vintage and creepy, so I made sure we gave things a warm feel. Faded halloween shoots aren’t my thing. Look, I’m not going to lie to you and say I don’t miss the weather of the south, but my god the landscapes in the north are incredible. They change with the seasons so dramatically, constantly giving you their all, never a lack of lustre - just sheer force, whatever the time of year. They can be harsh, cold and muted, but that’s exactly the charm. There’s the variation too - in one direction, the Peak District gives you this incredible area full of different styles, then another you find yourself on a tourist beach, and another you find stunning lake scenes straight out of British Columbia. There’s something immensely pulling about this place, something that makes you want to brace up against the weather and explore.